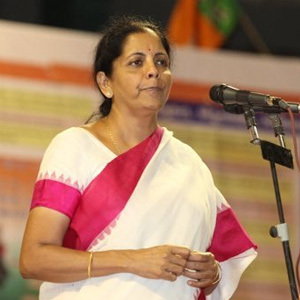 India will use stimulus programmes of major economies to boost domestic industry and strengthen exports, commerce minister Nirmala Sitharaman has said. The Economic Times cited Sitaraman as saying that the drop in exports was no longer worrying and the government was focussed on reviving them. But she declined to comment on how a stronger rupee might be hurting exports. Her comments come as India’s trade deficit shrank to $7.67 billion in August from $12.4 billion a year earlier owing to a 14% decline in imports, led by a 77% slump in gold imports. Exports fell a tad to $21.51 billion from $21.58 billion, though 16 of 30 export sectors showed growth. Separately, economic affairs secretary Shaktikanta Das said on Thursday that the Monetary Policy Committee (MPC) will be set up before the central bank’s next interest-rate review on 4 October. The MPC will have six members—three each from the Reserve Bank of India and the central government—besides RBI governor Urjit Patel, who will have the casting vote, but not a veto, as is the case now. Meanwhile, Business Standard reported that the central government is firm on its stand on dual administrative control over entities with an annual turnover of up to Rs 1.5 crore. States want exclusive control over the tax assessment of such entities under the new Goods and Services Tax (GST) regime and dual control over the ones above this threshold. The issue is likely to be debated during the first meeting of the GST Council, which is set to take place on 22-23 September. The Union cabinet is expected to take a call on the merger of the railway and main budgets next week. News reports said that a cabinet note on the issue has been prepared. The note will also detail plans on eliminating plan and non-plan expenditure classifications and making a shift to outcome based budgeting. News reports in the past have also said that the government could bring forward the budget by a month from the end of February, when it is customarily presented.